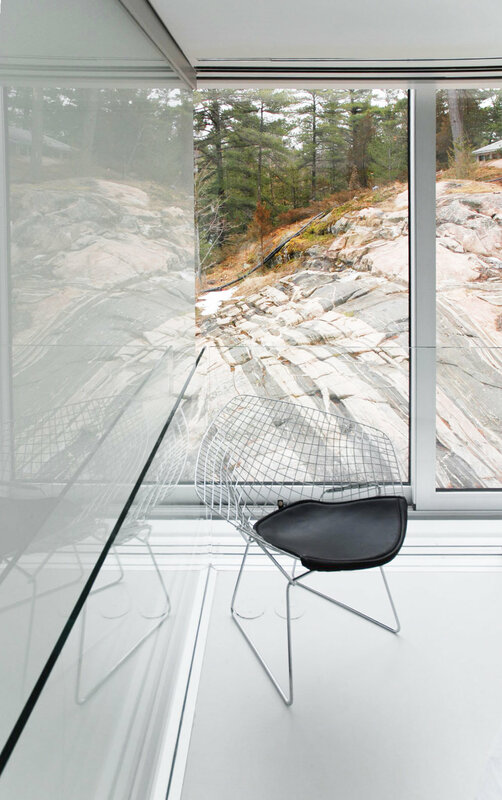 A photographer’s studio over a boathouse on Stoney Lake is a re-imagination of the archetypal glass house in a landscape in the Canadian Shield. 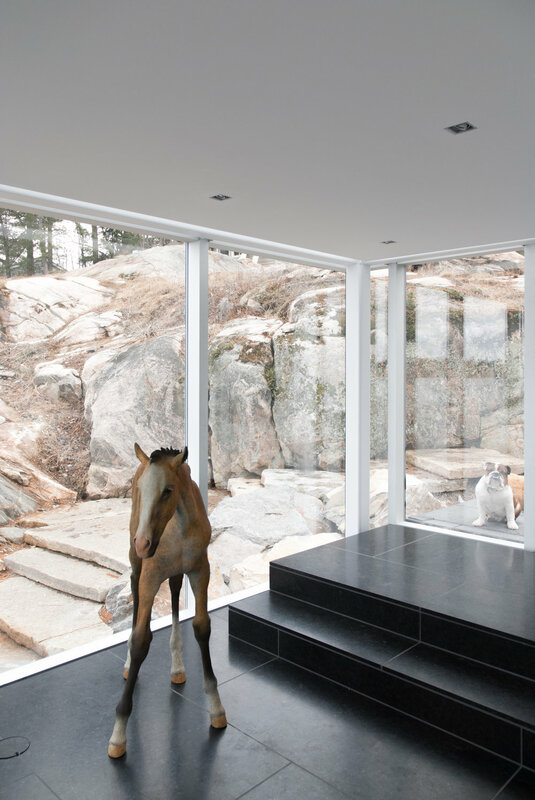 A continuation of thinking about this architectural ambition, the central conceit of the house is reconceived through a contemporary lens of sustainability, program, site and amenity. 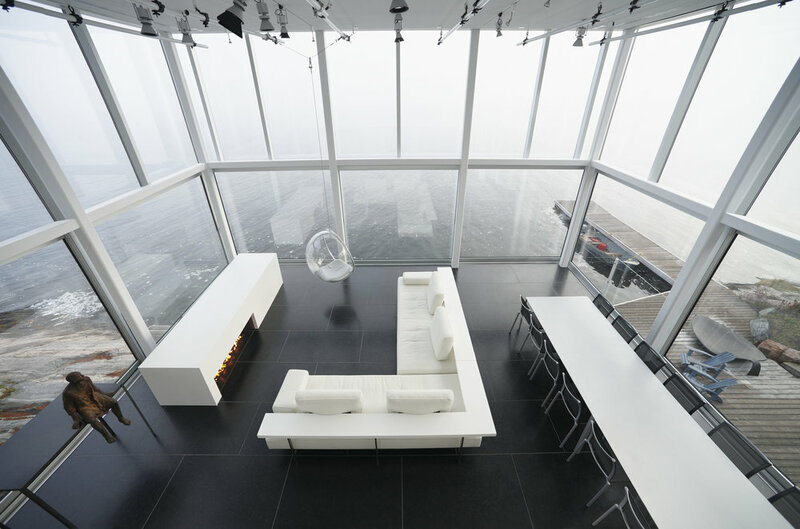 The compelling qualities of simple, open spaces; interior and exterior unity and material clarity are transformed to enhance the environmental and programmatic performance of the building, creating architecture of both iconic resonance and innovative context­–driven design. 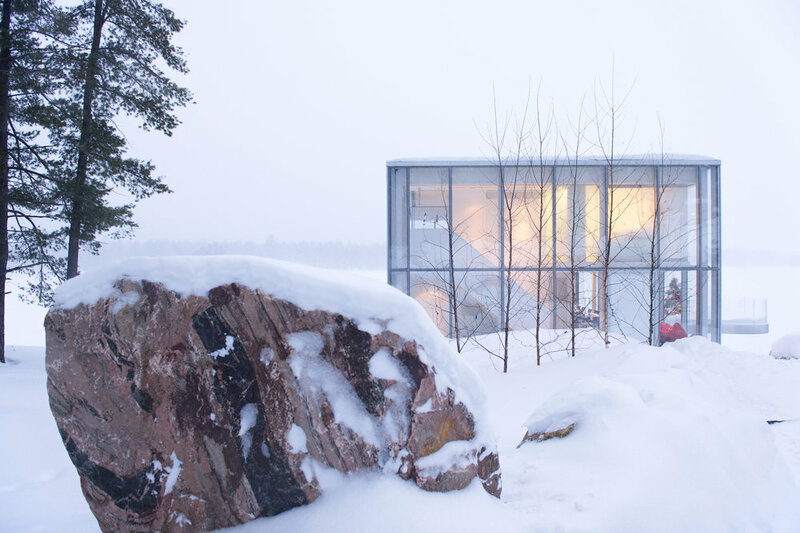 The program envisions a building as north–facing window: a photographer’s live/work studio and film location that is continuously bathed in diffuse and undiminished natural light. 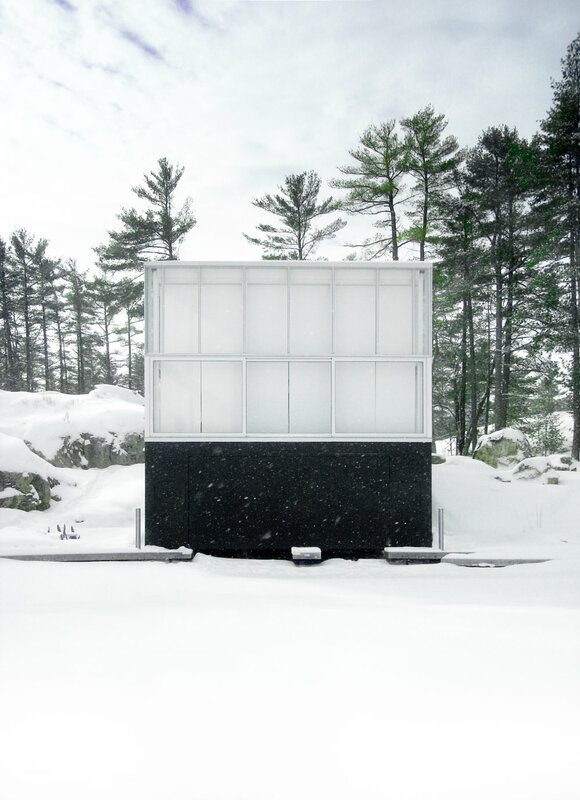 The transparent facade—a curtain wall glazed in low-iron glass—becomes the essential element in a photographic apparatus to produce images unobtainable in a conventional studio. 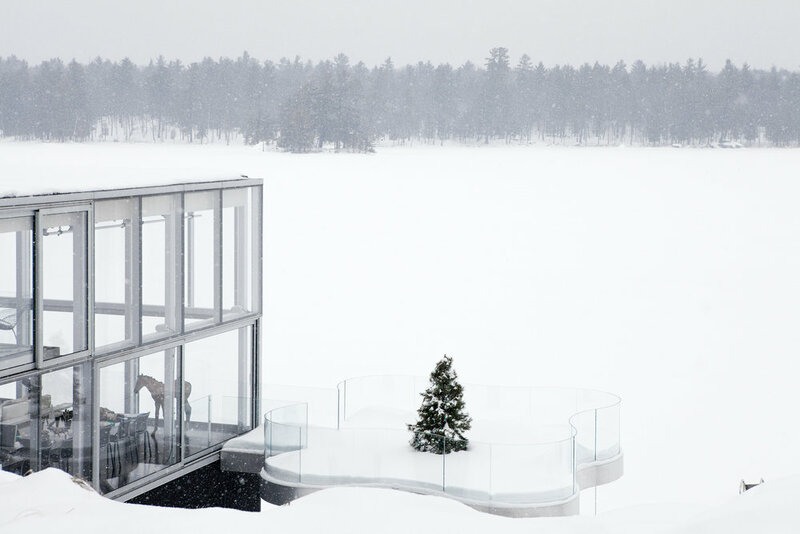 The availability and fidelity of north­–facing light in the double-height space provide the photographer with unparalleled natural illumination, while the clarity of the glazing transforms the site and surrounding vistas into a sublime, ever–changing backdrop. 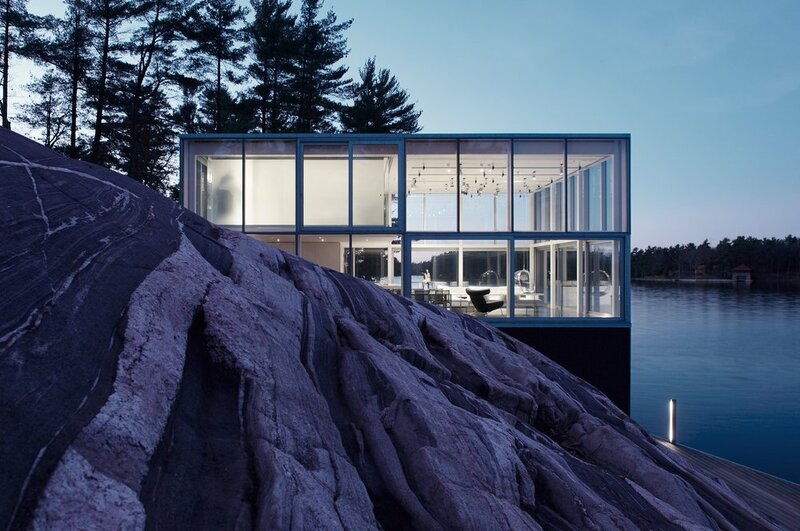 The compact glass form sits at the water’s edge on a granite plinth whose matte black facade dematerializes to suspend the building, lantern-like, on the site. 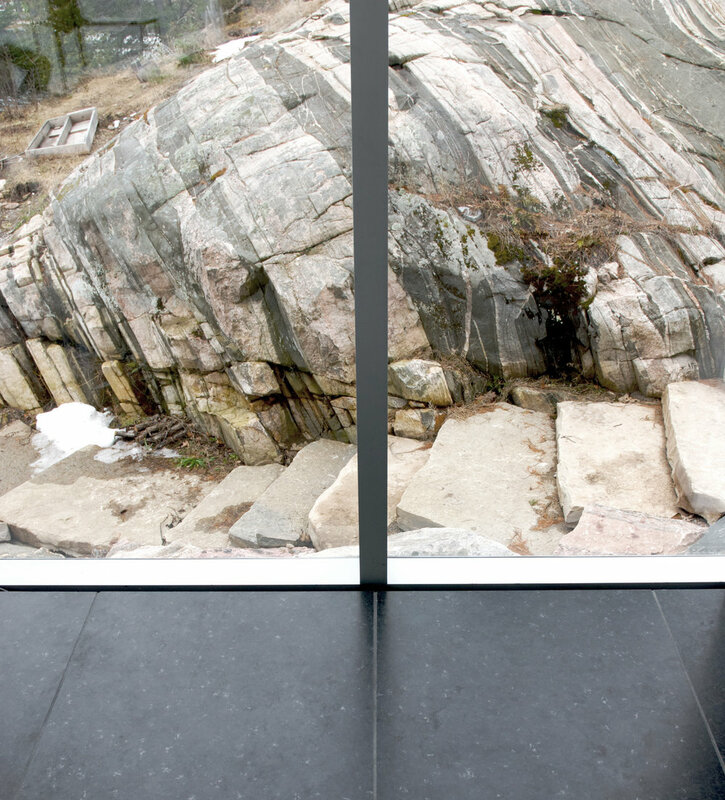 The granite’s thermal mass exploits the abundant solar input, eliminating the need for active systems on winter days, while the lakefront site allows the use of a deep-water exchange to heat and cool the building year–round through radiant slabs and recessed perimeter louvers at the floor and ceiling. 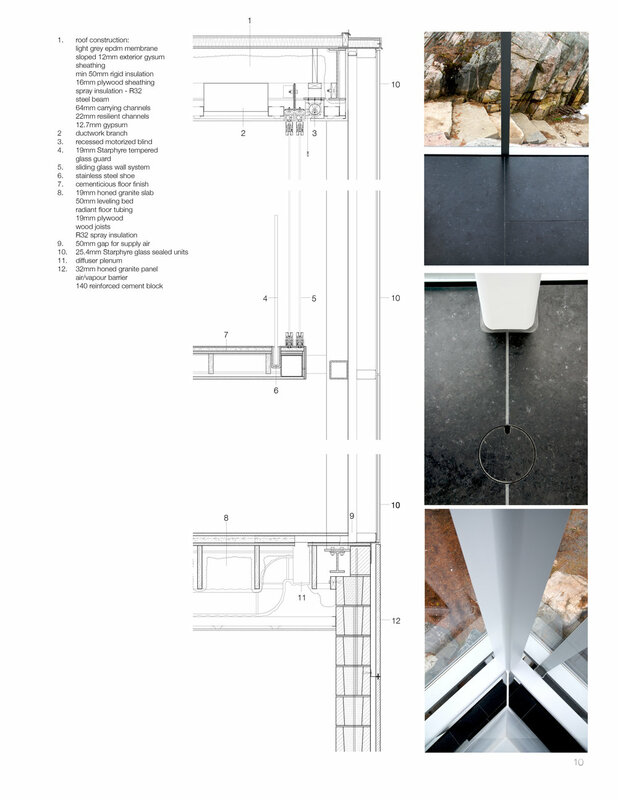 Sliding panes in the glass skin—three metres wide at the ground floor, and one and a half metres wide on the mezzanine floor—allow the facade to become completely porous for natural ventilation, while an individually automated blind system, white roof, and deciduous hedgerow guard against excessive solar gain. 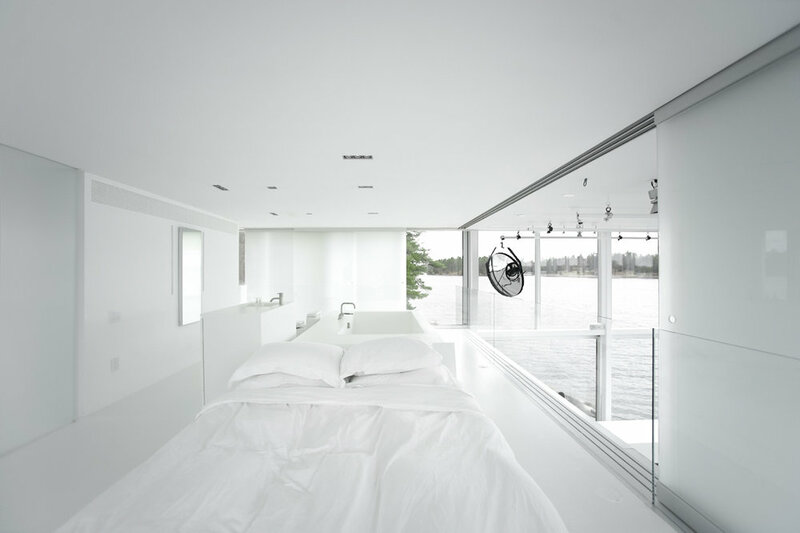 The continuous blind system additionally serves as a second aesthetic skin, transforming the interior into an enclosed, intimate space, and the exterior into a gently reflective mirror of the surroundings. 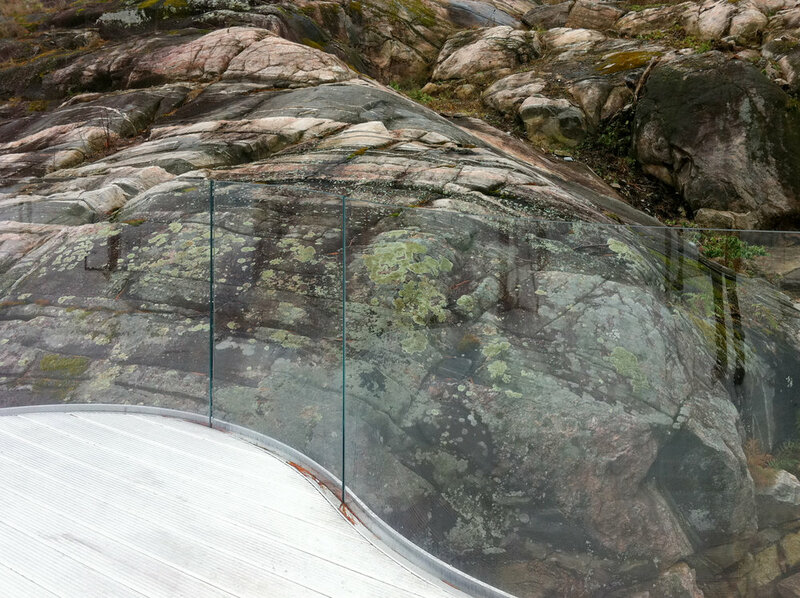 A lightweight aluminium curvilinear structure guarded by low-iron glass was later added at level with the house. 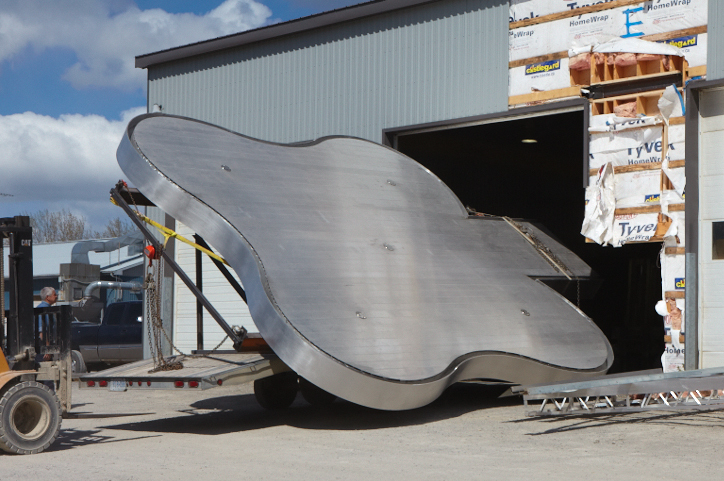 This freestanding structure serves as an outdoor living platform.